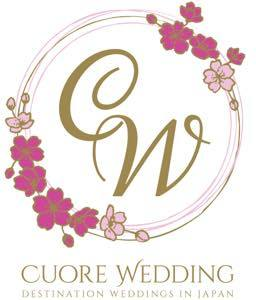 Cuore Wedding is composed of a team with more than 20 years of experience in the wedding and event planning industry, not only in Japan but worldwide as well. With unsurpassed worldwide cultural sensitivity, our team can create a World-Class Wedding for you! 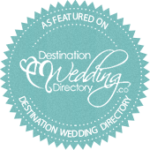 A Wedding Planner for over 22 years, she provides expert guidance in choosing the right hotels, wedding ceremony halls, restaurants of all levels, churches, town halls, and even house weddings. She also works as a consultant for brand-new venues, Japanese wedding fashion outlets, and for a time was a full-time wedding event planning lecturer at the college in Tokyo. Moving to Italy in 2003, she traveled throughout the country researching the best wedding venues and creating relationships with the most qualified professionals. She established ‘Italian Weddings’ in 2004 with the motto “Japanese Expertise, Overseas”. She currently lives in both Florence and Japan and creates unforgettable wedding experiences in both countries for her worldwide clients. Certified Wedding Specialist of Weddings Beautiful Worldwide (http://www.weddingsbeautiful.com), she is also an executive instructor for wedding planners. Starting her career in 1993, she has always received rave reviews from her clients. She also acts as a senior consultant to over 1000 wedding planners throughout Japan. Jewelry coordinator and designer, this skilled and thoughtful lady cares every single detail of clients. Available receiving a personal order. She worked as a concierge, hence she provides useful restaurant information from casual to Michelin-starred restaurants, as well as shop info from fast fashion to luxury brand.